Another hot day. 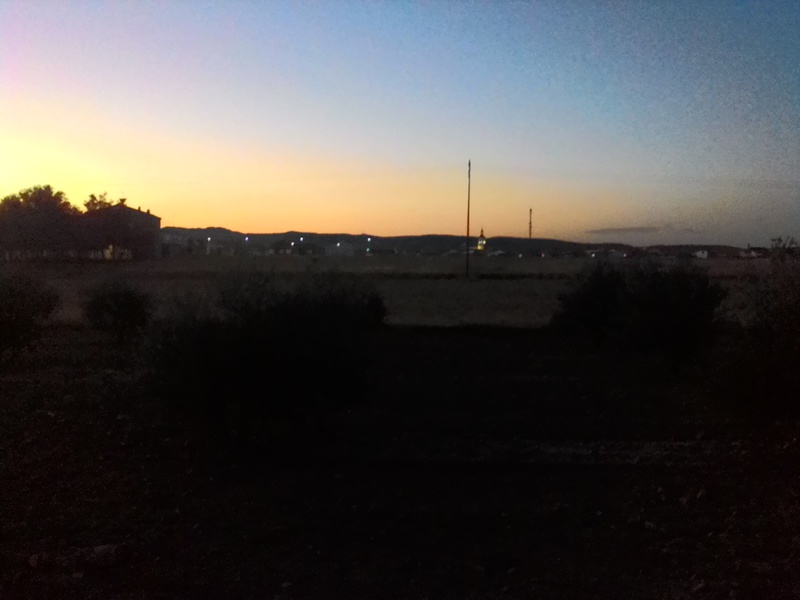 Started just before sunrise. 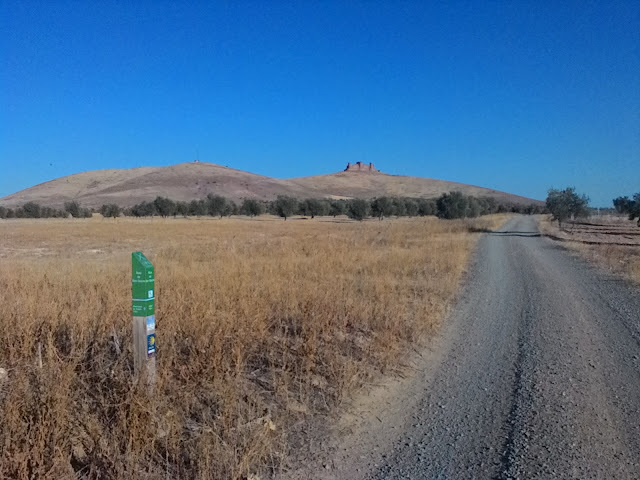 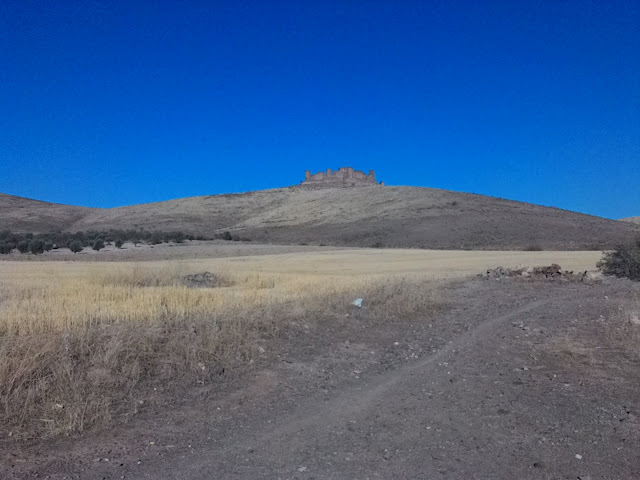 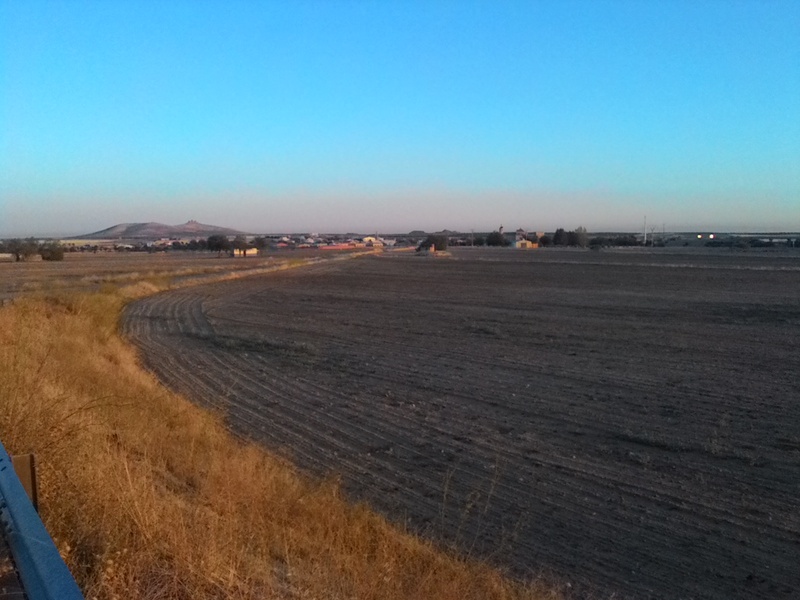 After crossing the highway Almonacid (another Moorish fort) can be seen right near the horizon. 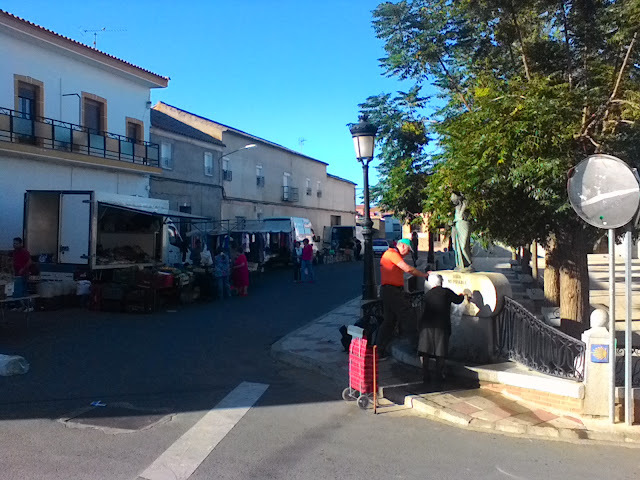 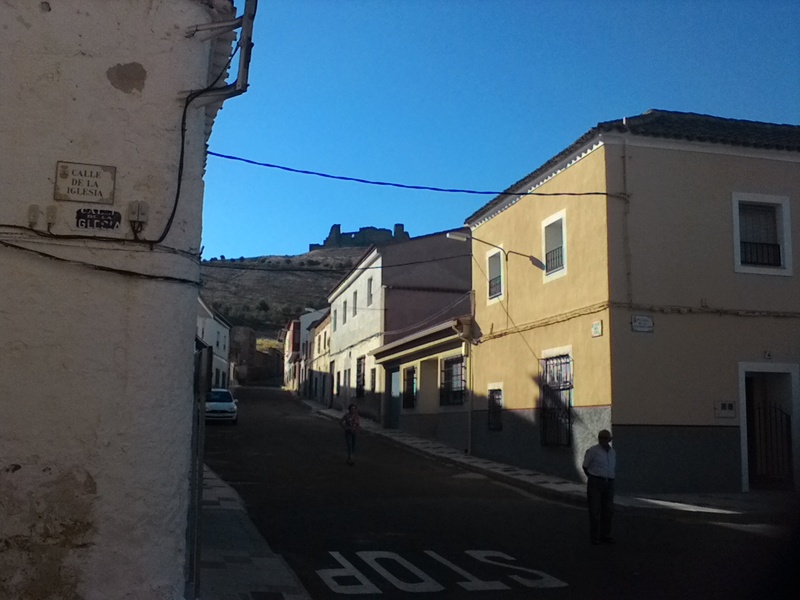 The town of Almonacid de Toledo is right below on the other side of the fort.